Our multi-specialty group practice offers the experience of over 100 physicians who are board certified in internal medicine and its subspecialties including cardiology, endocrinology, diabetes & nutrition, gastroenterology, geriatrics, infectious disease, travel medicine, internal medicine, nephrology, pulmonary and rheumatology. Patients benefit from the personalized and integrated treatment provided by this group of physicians who function as a comprehensive internal medicine group practice. 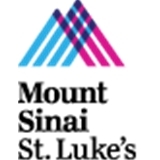 Through our strong affiliation with St. Luke’s and Roosevelt Hospitals (Academic Affiliates of Columbia University College of Physicians and Surgeons) we are able to offer our patients the foremost in outpatient and inpatient cardiovascular services. Our cardiologists are active as both clinicians and educators, providing teaching to medical students, residents, and cardiology fellows. Waited roughly 15 minutes to be called to see the nurse then about 10 minutes to be seen by Dr. Bernstein to go over the results of the bloodwork my dermatologist had requested. He explained everything in detail, pretty straightforward without all the frills, but decided to have more tests done since he felt the ones my dermatologist had sent me for weren't enough for a proper diagnosis. I was pleased that I can get my blood drawn right there in his office instead of having to go to a lab to get the tests done. I'll be back in a week for the results. Dr. Rahimian is just what I want in a doctor. He listens, asks a lot of questions, doesn't rush and gives a clear and specific plan of treatment. There was a bit of a wait in a crowded waiting room, but the staff was friendly. All and all, an excellent experience. Dr. McKinley is a great doctor! He did not rush like other doctors I have been to. I was impressed by how he genuinely cared and how he took the time to listen to my concerns and answer my questions. He is very efficent and makes sure to check everything. I definetly recommend him! My only minor complaint was that the waiting time was a bit longer than I liked (1 hour). Dr. Patel has a great demeanor. She took the time to listen to all of my concerns and I felt like she heard what I was saying and took plenty of time to check me and respond to all of my questions. She created an action plan of steps I can take to move forward. I highly recommend her to the ZocDoc community. Dr. Patel has the ideal bedside manner for a doctor of any kind. This practice sees patients at 24 locations.